A scorcher today so something with relatively little effort was required and these two seemed to fit the bill. 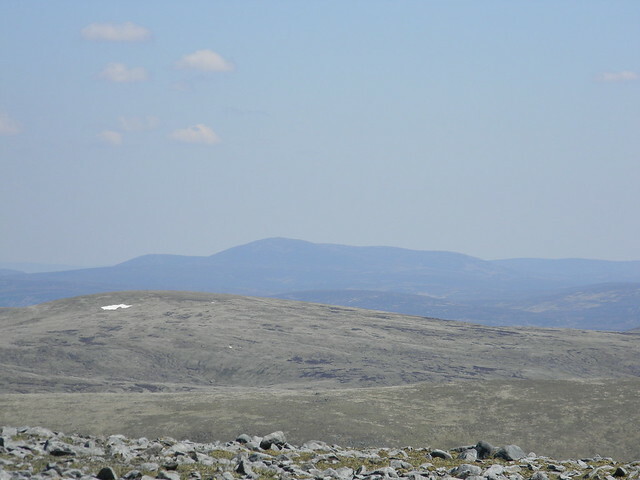 They get some bad press at times these hills, but this was perfect for a hot, windless day like today with good clear views in every direction, the Cairngorms still with a smattering of snow. Parked up off the A93 at the Devil’s Elbow and, after a liberal application of sunscreen, set off at Allt Coire a’ Bhathaich, for a quick hop and a skip up on to Leacann Dubh. 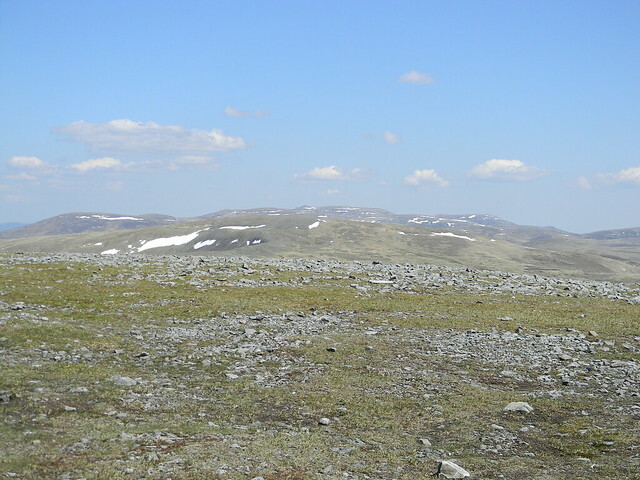 Followed the ridge along here to Meall Odhar, meeting the last leg of the ski-lift, stopping for a quick breather at the cairn to soak up the views before the short, steep section which ultimately lays right back and into a gentle stroll from here to the summit of Glas Maol and it’s shelter cairn and trig. We’ve been in t-shirts from the off and there's no need to alter this at summit level, the cool breeze taking the edge off. 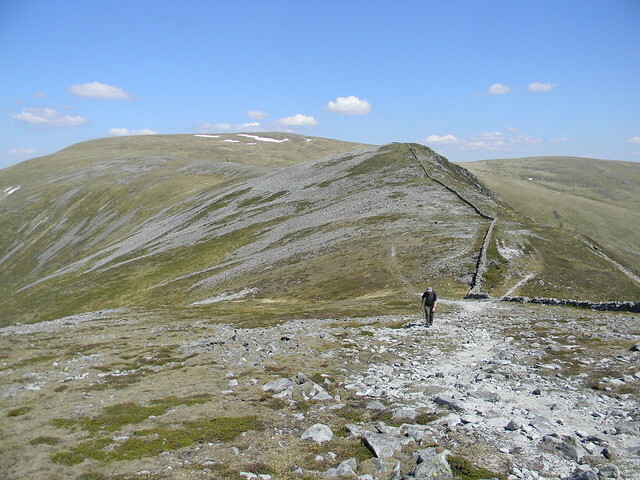 We stride out towards the smaller but more interesting looking Creag Leacach passing over a couple of large, sheltered snow patches, heading for the wall that follows the ridge up and over our next target. It’s a boulder field from here on in but simple enough to negotiate if treated like a river crossing and hopping between the most prominent boulders, or crunching over the small stuff. 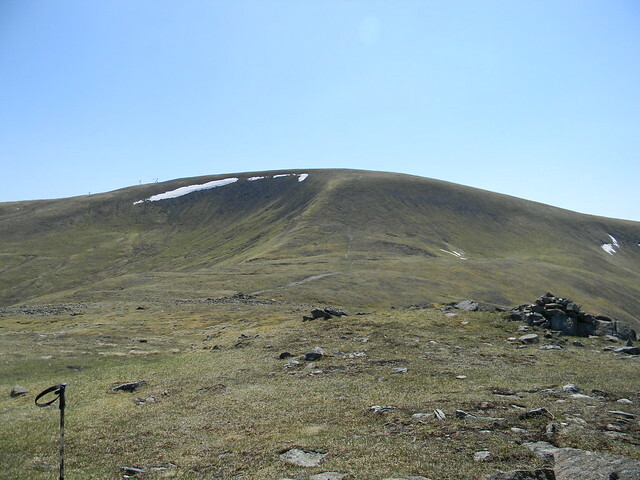 It’s an enjoyable and interesting ridge, clearing the first top and soon after the summit is reached with the minimum of fuss. 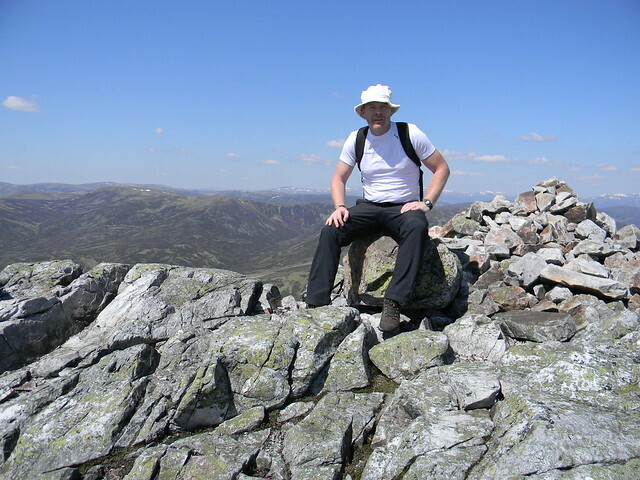 Obligatory summit pic, followed by a leisurely lunch break under the cairn looking West...what a vantage point. 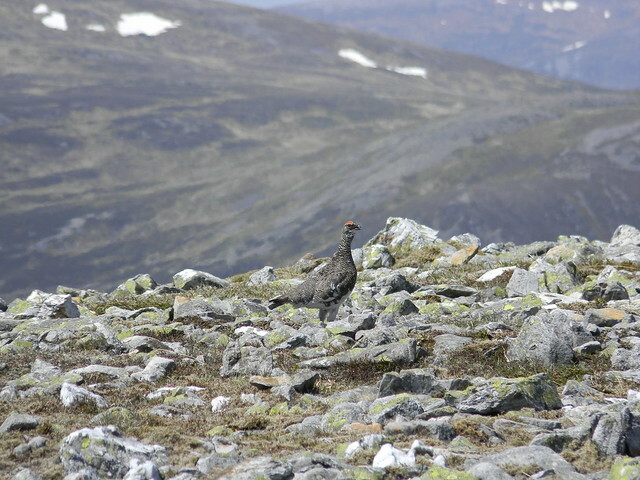 And, once back at the van, a pair of Ring Ouzel. Last edited by BoyVertiginous on Thu Jan 08, 2015 6:02 pm, edited 1 time in total. I did those including 4 others on my route last 'summer'. I didn't see much as the whole round was done in very thick misty conditions. You had incredible weather by the looks of it! ''the clash'' and the hills, two of the best things in life. RIP joe strummer. cracking weather up there too by the looks of it. jonnoh wrote: some great photos there. Thanks, Jonnoh. It was a cracking day, starting to think it might have been this year's "Summer". I'd have liked to have done more on that trip but just the two was "sensible" in those conditions, burnt to a crisp otherwise. tony.cee wrote: ''the clash'' and the hills, two of the best things in life. RIP joe strummer.